Anandite: Mineral information, data and localities. Named in 1967 by D. B. Pattiaratchi, Esko Saari, and Thure Georg Sahama in honor of Ananda Kentish Coomaraswamy [August 22, 1877 Columbo, Sri Lanka (Ceylon)− September 9, 1947 Needham, Massachusetts, USA], briefly, the first director of the Mineral Survey of Ceylon. In 1906, he left geology, moved to New York City, New York, USA, and became a noted philosopher. An unusual sulphur-bearing member of the mica group with three known polytypes: anandite-2M1, anandite-1M, and anandite-2O (the most common polytype at the type locality). All anandite polytypes resemble each other, nearly opaque black mica. ICDD 19-78 for 2M1 poytype, a 5.468, b 9.489, c 19.963 Å, β 94.87°. Fleet et al. (2003) give for the 2M1 polytype a 5.412, b 9.434, c 19.953 Å, β 94.87°. 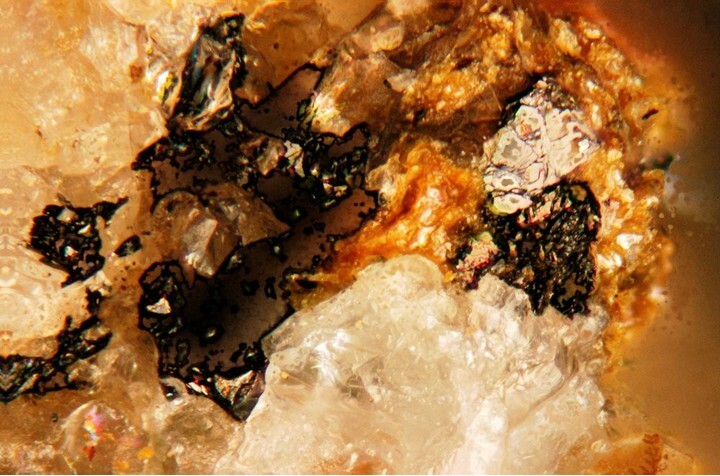 As monomineralic veinlets and lenses in a banded magnetite deposit capped by banded magnetite-barite rock. The ore zone and associated interbedded calc-schists and gneisses are of metasedimentary origin, of approximately granulite facies grade. Gillespite 1 photo of Anandite associated with Gillespite on mindat.org. Pattiaratchi, D. B., Saari, E., and Sahama, T. G. (1967) Anandite, a new barium iron silicate from Wilagedera, North Western Province, Ceylon. Mineralogical Magazine: 36: 1-4. Lovering, J. F. and Widdowson, J. R. (1968) Electron-microprobe analysis of anandite. Mineralogical Magazine, 36, 871-874. Giuseppetti, G. and Tadini, C. (1972) The crystal structure of 2O brittle mica: anandite. Tschermaks Mineralogische und Petrographische Mitteilungen, 18, 169-184. Filut, Marlene A., Rule, Audrey C., and Bailey, Sturgis W. (1985) Crystal structure refinement of anandite-2O, a barium- and sulfur-bearing trioctahedral mica. American Mineralogist, 70, 1298-1308. Canadian Mineralogist (1998): 36: 905-912. Fleet, Deer, Howie, and Zussman (2003) Mica, Rock-Forming Minerals. vol. 3A (second edition), p. 732. Thomas J. Bujnowski, Stephen Guggenheim and Toshio Kato (2009): Crystal structure determination of anandite-2M mica. American Mineralogist, 94, 1144-1152. 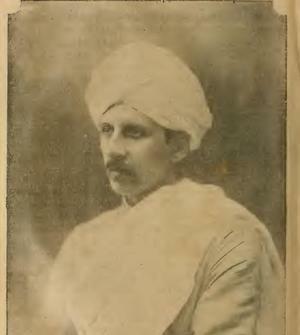 Pattiaratchi, D.B. (1967) Anandite, a new barium iron silicate from Wilagedera, North Western Province, Ceylon [Sri Lanka], Mineralogical Magazine (1967) 36, 1-4. [MinRec 33:161]; Canadian Mineralogist (2001): 39:1053-1058.; Kampf, A.R., Rossman, G.R., Steele, I.M., Pluth, J.J., Dunning, G.E., Walstrom, R.E. 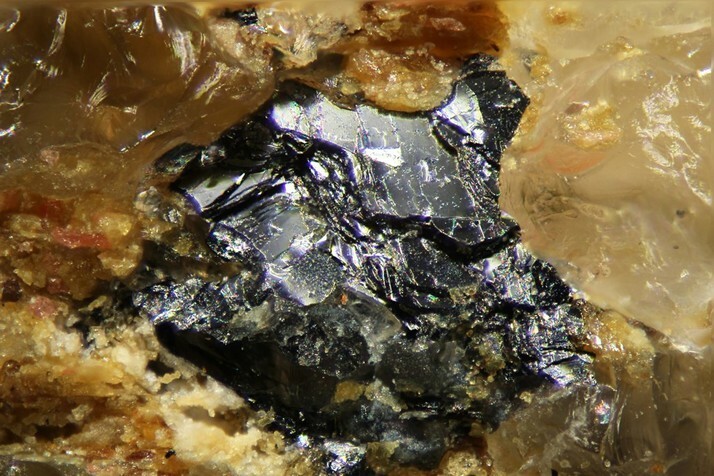 (2010): Devitoite, a new heterophyllosilicate with astrophyllite-like layers from eastern Fresno County, California. The Canadian Mineralogist: 48: 29-40. Roberts, A.C., Grice, J.D., Dunning, G.E., and Venance, K.E. (2001) Fencooperite, Ba6Fe33+Si8O23(CO3)2Cl3·H2O, a new mineral species from Trumbull Peak, Mariposa County, California. Canadian Mineralogist: 39: 1059–1064. ; Jambor, J.L. 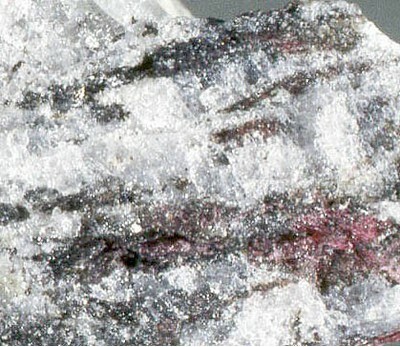 and Roberts, A.C. (2002) New mineral names. American Mineralogist: 87: 765-768. Tracy, R.J., et al: Eos, Transactions of the Amer. Geophysical Union:68, #16:467 (abstract) (1987); Tracy, R.J.: Am. Min. :76:1683-1693 (1991); Dunn(1995):Pt4:468.